Word forgives and doesn’t forget. There’s an “uh-oh” command called Undo. Make a mistake? Or just want to experiment? Hit Undo. Word undoes your last change and remembers things the way they were. Word also lets you create your own style sheets, so “you can standardize your documents, memos, files and letters. It’s not surprising that Microsoft has a way with Word. We designed the MS™ DOS operating system that tells the IBM® PC how to think. 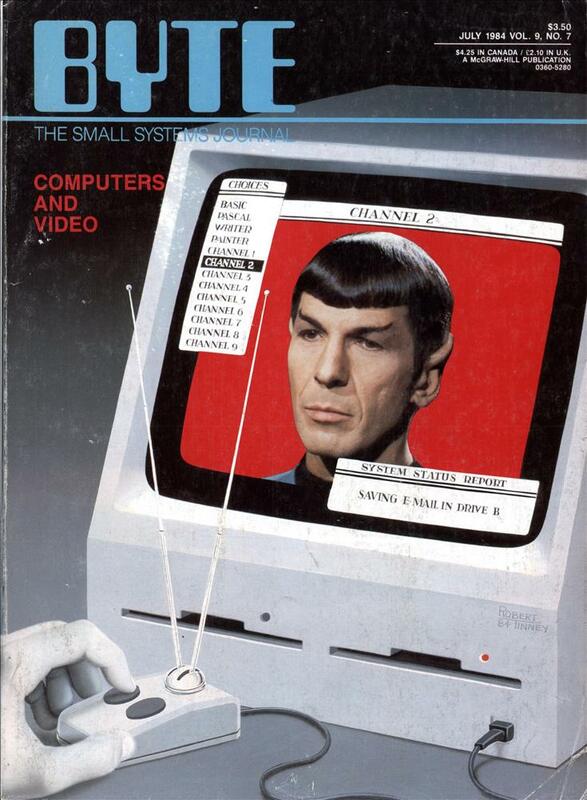 And we pioneered the first microcomputer BASIC, the language spoken by nine out of ten micros worldwide. For a few final words, call 1-800426-9400 (in Washington State call 206-828-8088) for a free Word brochure and the name of your nearest Microsoft dealer. At least this mouse isn’t equipped with rabbit ears, like the one on the cover. I still don’t understand what that software is supposed to do. I mean even back then there was runoff and troff. Even Tex was available for people who wanted to typeset. The idea of a text-editor with built in printer control codes seems totally awkward to me. I think the headline on the first page, “Undo. Windows.” says it all! @Christian Berger – There is an argument for having the control codes visible, you don’t have to worry about empty bold-unbold pairs messing up the formatting. Many times, I’ve taken a horribly formatted document with a mix of custom, in-line and existing styles, pasted into Notepad and copied back out to remove all the formatting. Really great. Undo! What an idea. 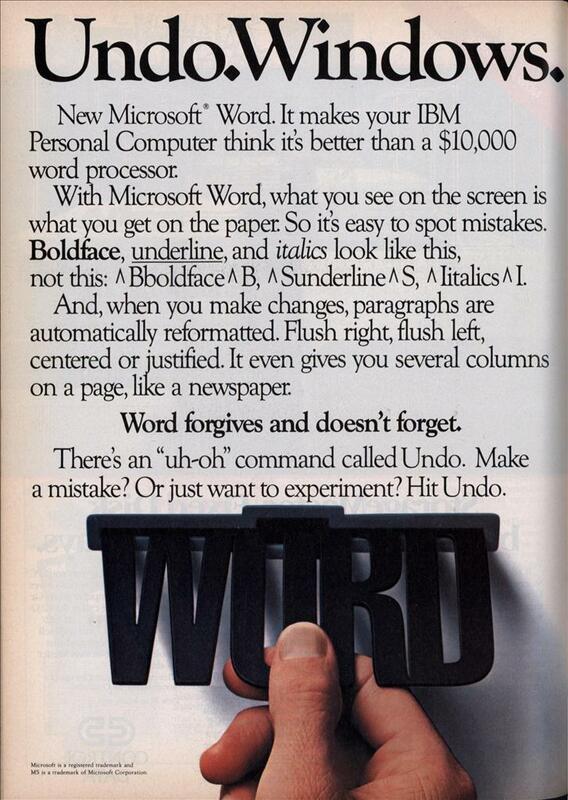 I think MS Word 1.0 was the first commercial software with undo. Borrowed from PARC, and before that from Teitelman’s BBN Lisp. Thanks for the lovely scan. I found this ad in Info World Jan 9-16 1984.